The superior style and function of these Grilling Aprons can transform a common backyard buffoon into a maestro of meat. 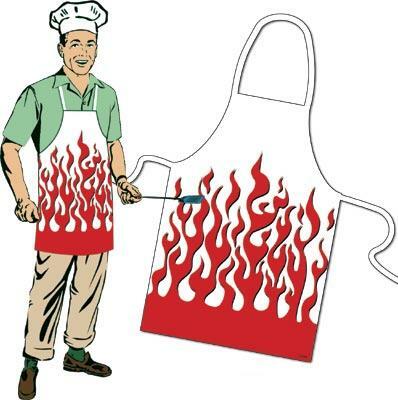 Each 19-1/2" (49.5 cm) long apron is made of canvas with an easy clean vinyl coating so you won’t have to worry about soiling your summer duds with BBQ sauce or marinade. This item was discontinued by our supplier.